Windows 10 is pioneering a new era of enterprise computing, presenting exciting opportunities to businesses. The benefits of migrating to Windows 10 are many - enhanced flexibility, improved security, and a more productive workforce. However, all these benefits can best be availed when enterprises embrace UEM capabilities to streamline endpoint management. 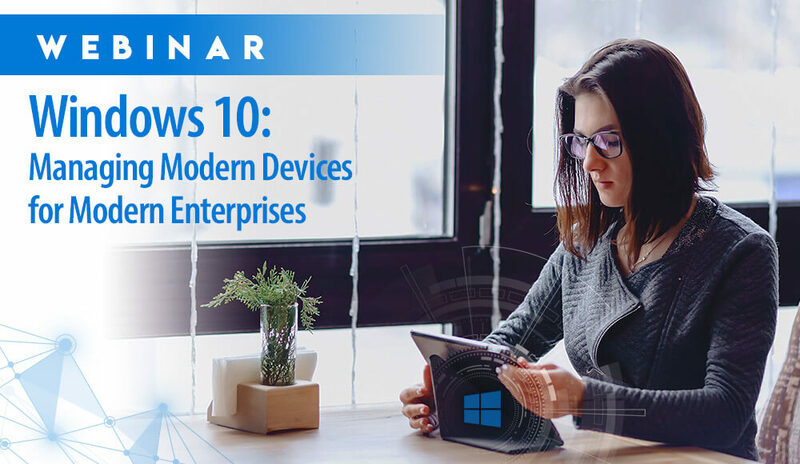 Join us for a live webinar on Windows 10 Device Management with Aster Veigas, our Product Expert at 42Gears, to learn how you can easily manage and secure all types of Windows 10 business devices (PCs, mobile phones, tablets) through our comprehensive Unified Endpoint Management solution. An increasing number of enterprises are adopting virtual reality (VR) for business use. Organizations in the retail, healthcare and education sectors are looking at how VR can transform sales, service, and learning experiences. I&O leaders must be prepared to deal with three basic challenges when optimizing the use of VR devices: content distribution, device deployment and device management. 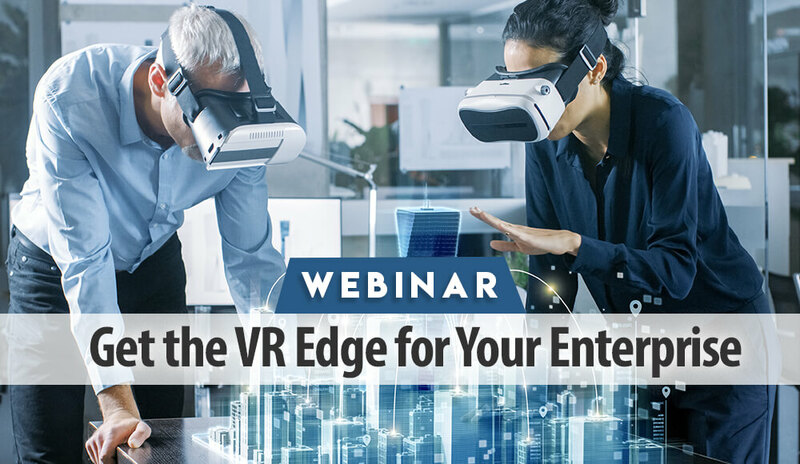 This webinar talks about how businesses can ensure easy adoption of VR devices in the enterprise. Android offers a world of capabilities and flexibility to enterprises. But it also brings in a daunting challenge in its wake - increased susceptibility to malware and cyber-attacks. In order to use Android devices for enterprises, IT Pros must deploy a secure and comprehensive device management solution. That’s where Android Enterprise comes into the picture. It’s the key for IT Pros to simplify the management of Android devices and ensure a high level of security while delivering a consistent application experience to users. 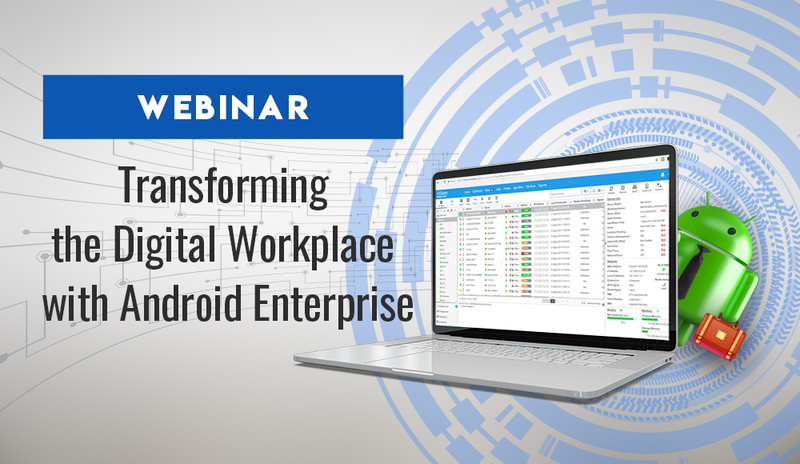 This webinar offers key insights into how 42Gears UEM solution can help businesses maximize the use of latest management and security features in Android with Android Enterprise program. Office 365, Microsoft's Office suite of enterprise-grade productivity applications, is used widely across businesses of all sizes. Its user-friendly features make it popular among the mobile workforce and can be easily integrated into mobile devices based on any platform. Employees can access their work email, contacts, calendar and other business documents easily and get their work done anytime, from anywhere. It is imperative to protect business data exchanged using Office 365 on employee devices. 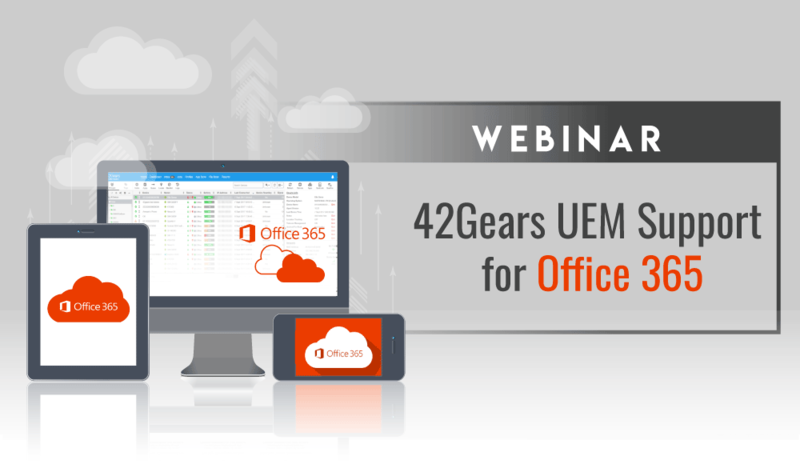 This webinar gives an insight into 42Gears UEM solution's support for Office 365. You will see how 42Gears UEM features can be used to deploy and configure Office 365 applications in devices, authenticate users signing into Office 365 and more. As per Gartner, UEM refers to a new class of tools that can act as a single management interface for mobile, PC and other devices. It combines the management of multiple endpoint types in a single console. A UEM solution helps to unify the application of configurations, management profiles, device compliance and data protection, while enhancing efficacy of end-user support. In this webinar, we’ll be taking a look inside 42Gears UEM solution and some specific features that enabled our inclusion in the first ever Gartner Magic Quadrant report for UEM Tools 2018. Transportation and logistics companies face unprecedented challenges while managing their business activities. Many organizations from the industry have embraced enterprise mobility to gain critical insights on their people and assets by using location-based mobility services and IoT solutions. 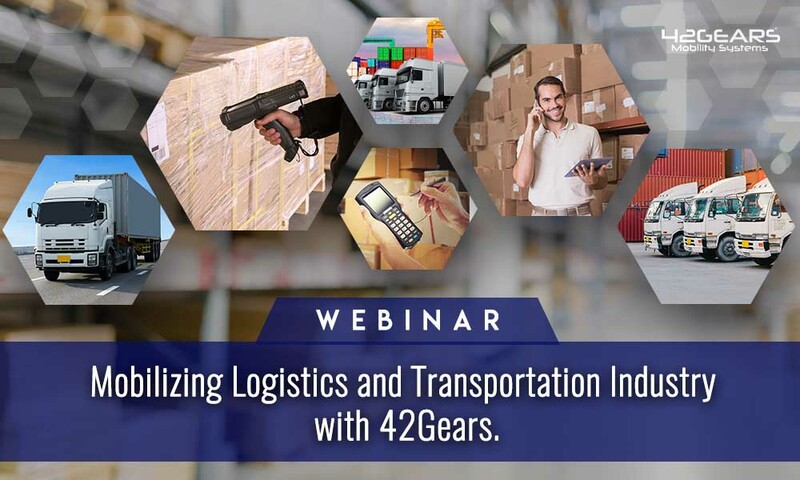 In this webinar, we take a look at 42Gears products being used in the logistics and transportation industry to offer device and app management solutions that help companies streamline their mobility strategies. Samsung Knox security platform offers enterprise friendly features and layers of protection for corporate data on Samsung mobile devices. 42Gears is a SEAP Samsung Gold Partner and we have successfully harnessed and tweaked Knox features to provide customized enterprise mobility solutions. In this webinar, we deep dive into the Samsung Knox features supported by ‘SureMDM’ - 42Gears UEM solution. 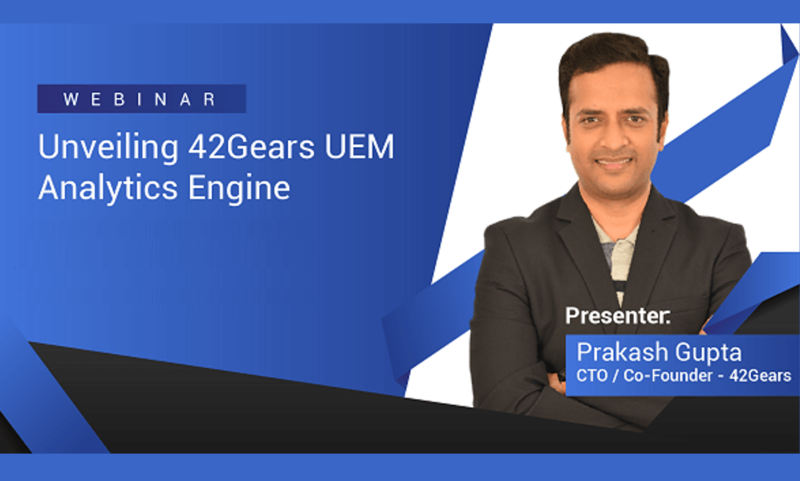 42Gears UEM Analytics Engine is capable of data capture, storage and analysis to help companies gain better insights and make informed decisions. It is based on big data technology and can perform Mobile Device, App Usage and IoT Data Analytics. 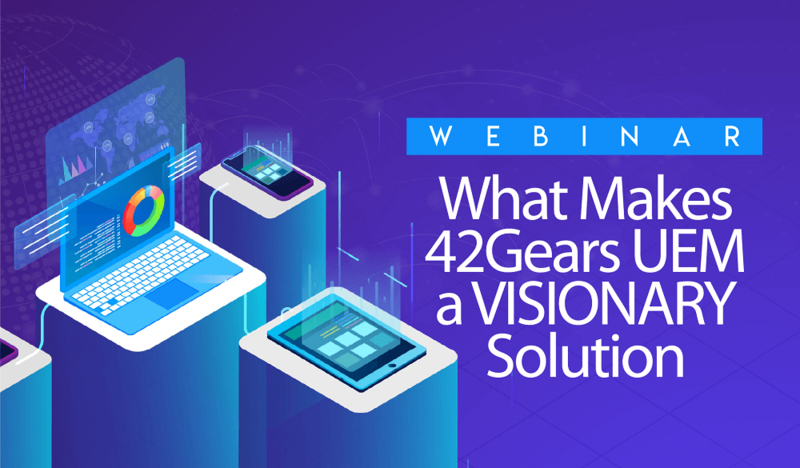 This webinar provides an in-depth look at the 42Gears Analytics Engine and how it can be used to derive actionable insights from specific data points gathered by managed mobile device and applications. Being a free open-source operating system, Linux is used extensively by businesses. But there aren’t many vendors offering Linux mobility management solution. 42Gears is the first enterprise mobility solution provider to offer Linux management under its UEM umbrella. 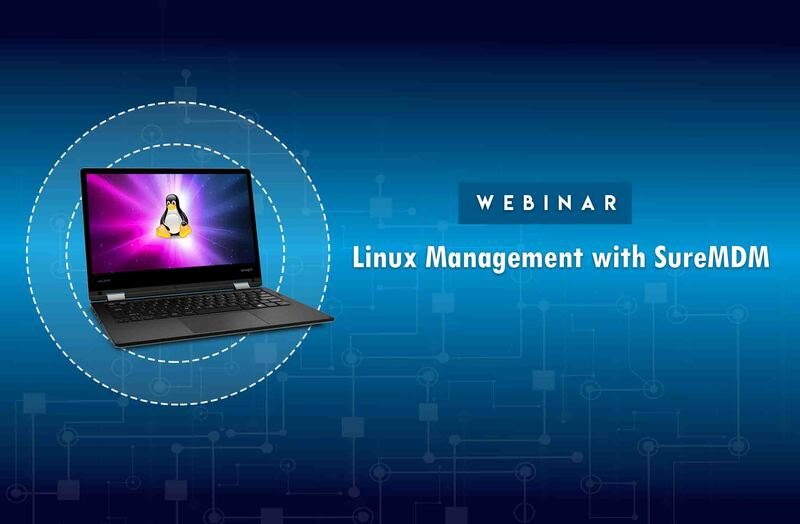 This webinar will cover the latest uses cases for Linux that 42Gears supports and will also deep dive into SureMDM’s features to manage Linux devices. Apple devices are leading the enterprise use, with majority of Fortune 500 companies using iOS devices in their business networks and work processes. Intuitive and powerful interface coupled with beautiful designs and ease-of-use ensure the best user experience for both iPhones and iPads. 42Gears UEM - SureMDM offers mobility management solution for iOS devices. 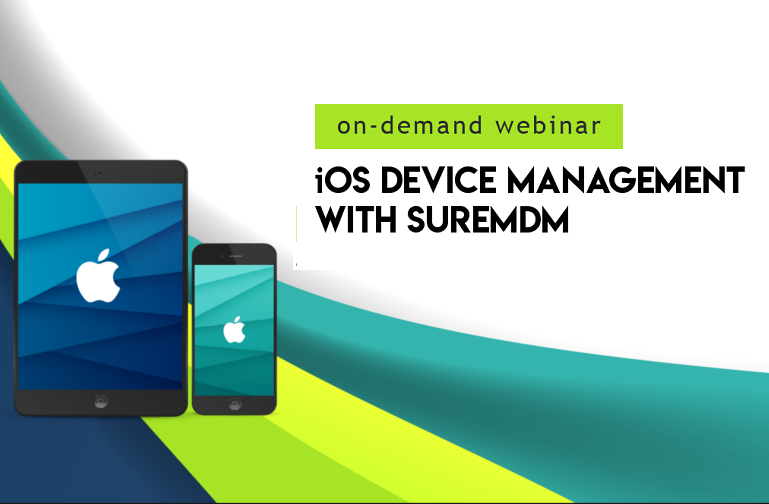 This on-demand webinar covers the various SureMDM features for iOS device management. It also includes a detailed demo of the latest iOS management features to help enterprises monitor and secure iPhones and iPads used across different industry verticals. Rugged devices are used extensively across industries like retail, logistics, shipping, construction and healthcare. But remotely tracking, managing and troubleshooting them are some of the common pain points for companies using the devices on a large scale. 42Gears' UEM solution - SureMDM offers mobility management solution to secure and manage rugged handhelds across all verticals. Right from their enrolment to remote management, SureMDM offers easy management of rugged devices through their lifecycle. 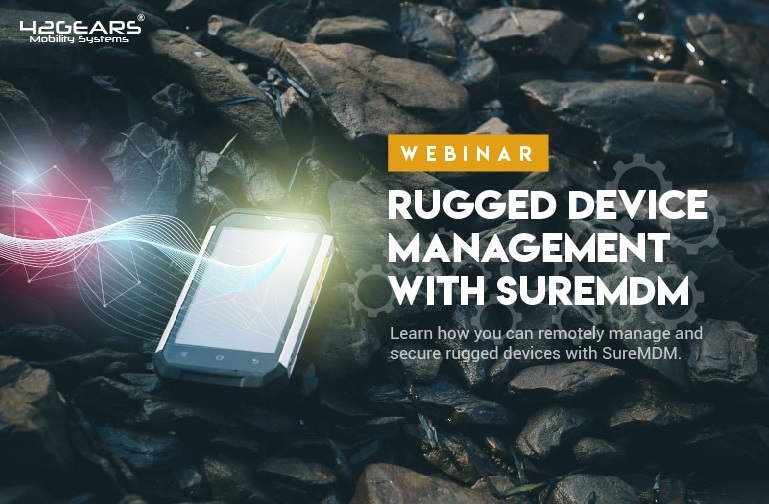 This on-demand webinar covers the various SureMDM features that support rugged device management. It also includes a detailed demo of the various console parameters that help enterprise monitor and secure ruggedizes devices used on-field. Everyone is talking about enterprise mobility solutions and their benefits. But the big question is how do you gauge the effectiveness of a solution? How can a company get insights from the data collected through the platform? SureMDM Reports allows enterprises to extract relevant data such as applied job/profiles, device health and application versions that can be analysed to make informed decisions. 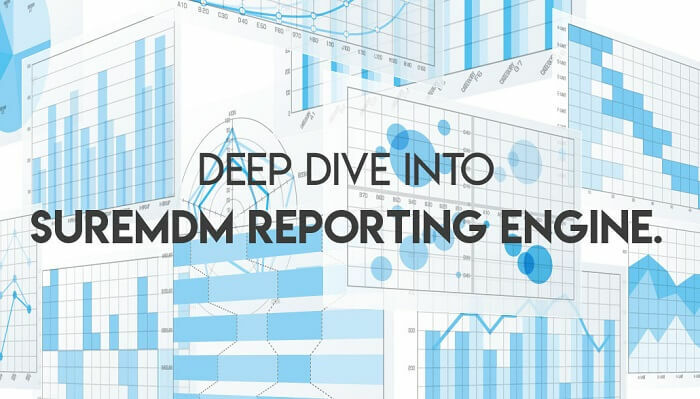 This webinar will cover the benefits and types of SureMDM reports, and will also give a detailed demo on the various parameters that can be utilized by companies to extract specific data. 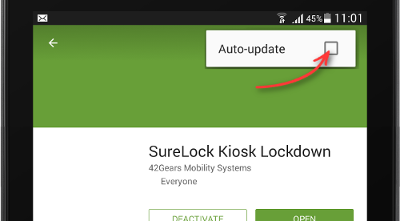 SureLock offers a quick and easy way to lockdown Android mobile devices such as tablets, smartphones, smartwatches or even desktop computers to turn them into dedicated purpose devices. 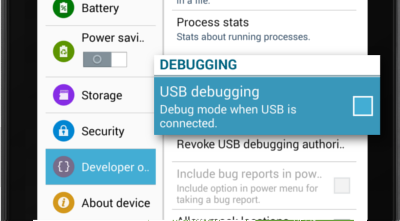 In order to achieve the best results with SureLock, we have consolidated a checklist that will allow accurate set up of SureLock on Android devices. This checklist will help to prevent deployment delays and operational problems due to obstacles that may prevent SureLock from functioning effectively. 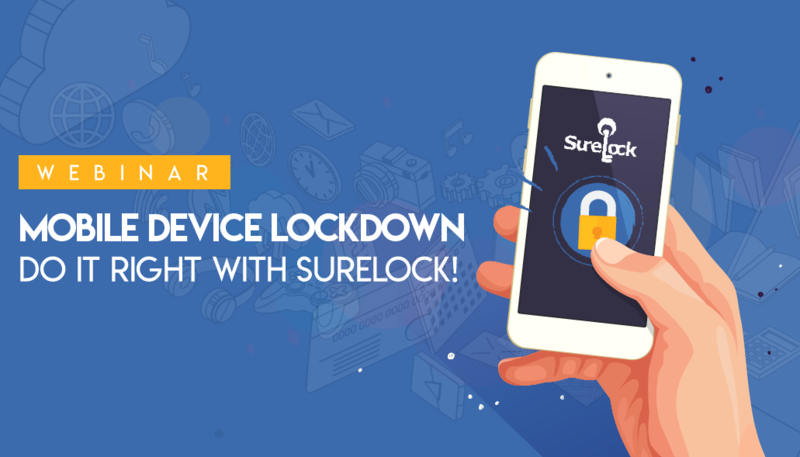 This webinar will cover the specific points that should be followed by enterprises in order to ensure smooth deployment of SureLock on business Android devices. 42Gears offers a wide range of scalable SaaS products that help enterprises manage their mobile devices to enable workforce productivity and efficiency. With growing number of enterprises adopting mobility solutions, there has been a rise in security threats that can affect both business device and data. As an enterprise solution provider, 42Gears is always prompt to adopt security solutions which lower device and data risk while also catering to agile and seamless enterprise mobility adoption and management. 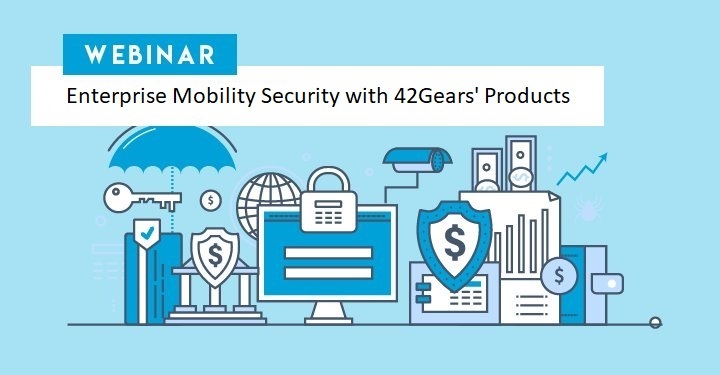 The webinar will cover the security standards that 42Gears follow to ensure data and system privacy and confidentiality. An effective signage is a necessity for businesses to achieve higher visibility and create a recognizable brand. Digital Signage is an easy and effective way to drive in-store traffic, communicate with customers and remain competitive. Unlike traditional platforms, mobile devices are low-cost, compact, lightweight and low maintenance digital signage solutions. But putting them to effective use can be challenging. 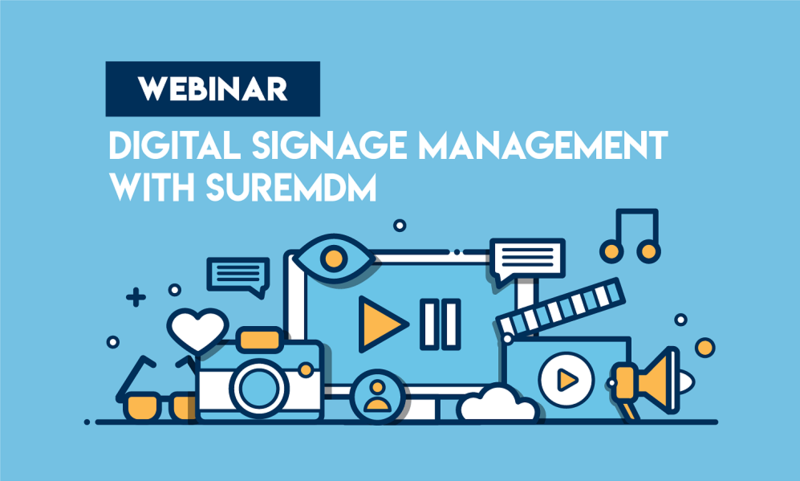 Learn how to incorporate, deploy tablet-based digital signage and manage, secure, monitor them remotely using SureMDM. Businesses are increasingly adopting mobile devices in daily business workflow due to benefits of convenience and improved productivity. However, it has also caused an increase in data and information security threats, making it necessary for enterprises to take proactive counter measures. As an enterprise solution provider, 42Gears takes necessary actions to not only lower the possibilities of device and data risk but also to ensure agile and seamless enterprise mobility adoption and management. The webinar will cover - how customers can keep their data/devices safe using 42Gears EMM products. While MDM helps to push mobile applications, additional app level security is required to secure and manage them in the continuous evolving mobile deployment environment. Mobile Application Management (MAM) is the framework for securing, governing and distribution of enterprise mobile apps. 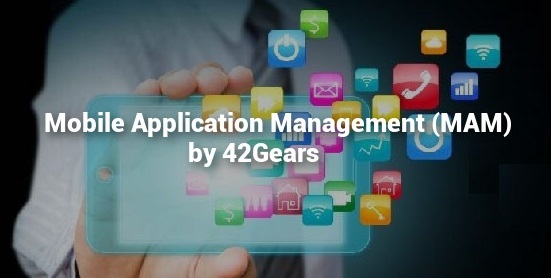 42Gears MAM solution offers app-level security along with a custom Enterprise App Store to help manage the complete app lifecycle and offer multiple app distribution methods. Mobility has become indispensable in business. Enterprises are striving hard to keep pace with new technologies entering the market every day. Several organizations across the globe have adopted wearable technology into their work process to benefit from its unique user experience. Like any other mobile technology used for enterprise use, it is necessary to secure and manage wearables with an EMM solution to make it compatible with business requirements. 42Gears EMM Suite for wearables makes them ready for the enterprise use. How 42Gears EMM solution helps optimize wearable device management for seamless adoption in business workflow. Bring Your Own Device (BYOD) continues to grow as a key strategy to increase productivity and employee efficiency for organizations across the globe. It enables personal devices to access sensitive business data anytime, from anywhere, mounting pressure on IT admin to implement appropriate security policies. SureMDM is a flexible and effective solution securing employee personal phones for work. 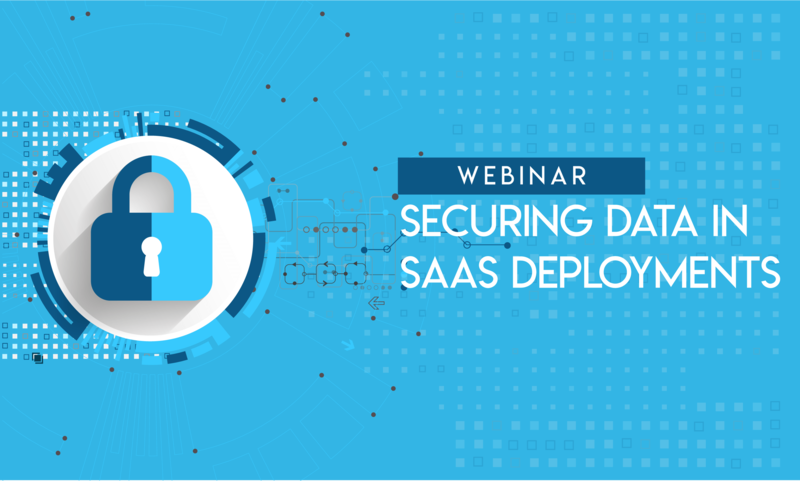 Check out our webinar to get in-depth look at how ’BYOD with SureMDM’ can prove to be a potent solution for customers trying to secure critical data while adapting to the ever-changing business scenario of allowing employees to bring their own personal devices to work.